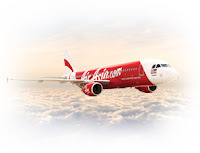 Asia's largest budget airline group, Air Asia has shelved its plans to establish a low-cost airline subsidiary in China, it has been announced this week. The Malaysian based airline had signed a preliminary agreement - a memorandum of understanding last year with Chinese state-backed financial firm Everbright Group and Henan province, with the express intention of setting up a low-cost airline with a base in Zhengzhou. However, the plans have now been completely dropped. With a change of political leaders in Malaysia recently, there has been a push back against Chinese investments and projects since May this year, including the halting of over $20 billions worth of infrastructure contracts that had been awarded to Chinese firms. The Air Asia joint venture deal had been signed in the presence of the former Prime Minister during a trip to the country.